Plate & Frame and Block Exchangers | R&H Technical Sales, Inc. Transfer heat from one medium to another effectively with high-quality heat exchangers. 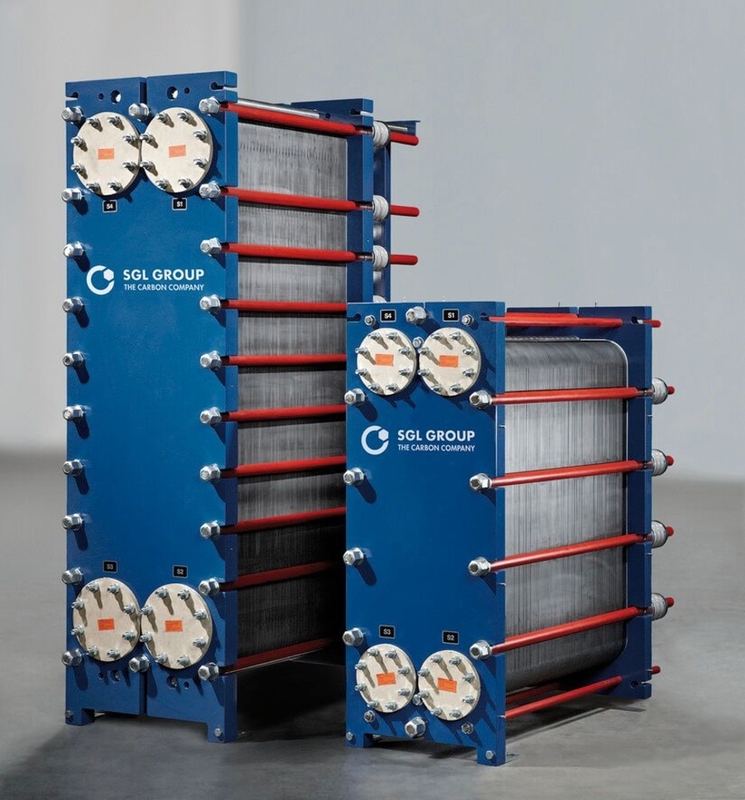 R&H Technical Sales partners with SGL Carbon to make high-performance graphite plate, block and groove heat exchangers available to our customers. SGL Carbon, a global leader in the design and manufacture of custom carbon equipment for the chemicals and process technology sectors, has the largest graphite heat exchanger product line in the industry. Graphite block heat exchangers are available in cylindrical-, cubical- and mono-block designs. They are recommended for small to medium sizes up to 300 m2. Graphite plate heat exchangers are designed to be ultra-efficient and flexible. They are recommended for small to medium sizes up to 60 m2. Graphite groove heat exchangers feature a gasket-free design, and they are recommended for sizes up to 30 m2. For superior heat transfer capabilities in corrosive environments, R&H Technical Sales is here for you. Leveraging a partnership with SGL Carbon, we can deliver high-quality graphite heat exchangers on time and at a competitive price. Contact us for more information about graphite block, plate, and groove heat exchangers.